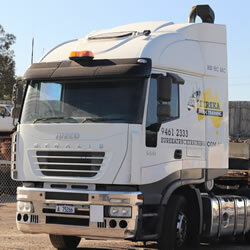 At Eureka Truck Driver Training we must apply very strict terms and conditions with regard to the transfer, cancellation and/or refund for all training and courses. 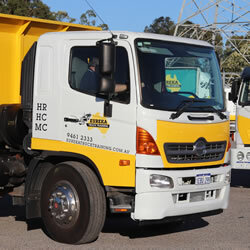 If you wish to cancel your enrolment in a 1 day course you must inform Eureka Truck Driver Training in no less than 7 working days prior to course commencement. 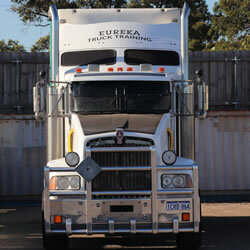 Eureka Truck Driver Training will refund fees and/or deposits paid in advance (less $50 administration fee) if received within this timeframe. Refunds are not permitted when cancellation occurs less than 7 days prior to course commencement and all fees paid are non-refundable. In instances where a student requests to cancel their training they must inform Eureka Truck Driver Training in no less than 3 working days to receive a refund (less $50 administration fee). If a student requests to transfer their training to a later date, notification must be received no less than 3 working days prior to training commencement and is a one off option. Requests to transfer training less than 3 working days is not permissible and no refund will be given. Cancellation and transfer of assessment only will receive no refund. Refunds may be requested but will only be considered in extenuating circumstances on a case by case basis. Extenuating circumstances may include but are not limited to; major illness, accident or disability, death of an immediate family member (parent, sibling, spouse, child), death of the student, political or civil unrest or a natural disaster. All refunds are approved at the discretion of the CEO.